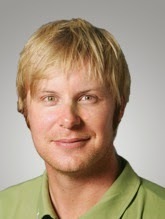 LOUISVILLE, Ky. - They aren't household names, at least not here in America, but Mikko Ilonen and Bernd Wiesberger are near the top of the leaderboard at the 96th PGA Championship. Ilonen is tied for fourth with Ryan Palmer and Rickie Fowler at 7-under 135. Wiesberger is tied for seventh with Phil Mickleson at 6-under 136. Let's start with Ilonen, 34, from Finland. He is ranked 54th in the world and has won four times on the European Tour. This is his second PGA Championship. Last year he missed the cut at Oak Hill. 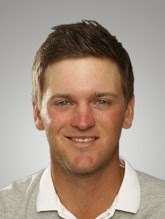 And Wiesberger is a 28-year-old Austrian, who also plays on the European Tour. No wins yet for the 70th-ranked player. (CORRECTION: Wiesberger has two victories on the European Tour.) He has played in the previous two PGA Championships, missing the cut both times. This week has been a turning point of sorts. "I'm quite delighted with my play so far," Wiesberger said on Friday after his second consecutive 68. Earlier majors had not gone well for the Austrian. "It's my sixth one and only one [made] cut so far," he said, "so it's disappointing how I've played in the majors." What has been the difference this time? "I had good preparation coming into this week," Wiesberger said. "I had a couple weeks off and came here early and had a good look at the course." Wiesberger will tee off with Mickelson at 2:30 p.m. ET on Saturday. Ilonen will play with Fowler, starting at 2:40 p.m. Maybe the two lesser-known players will continue to quietly contend for the Wannamaker Trophy. Thanks for correction. I'll update above.